"Raúl Jiménez - £5.6m. Fantasy players are starting to warm to the Wolves front man as 6.5% of teams have selected him. Three games in a row he's produced either a goal or an assist." Anthony Knockaert - £5.5m. Brighton entertain West Ham on Friday night so this is an early reminder to get your transfers in early. The reverse fixture last season was also in this window and saw Glenn Murray go off. The Hammers have looked better in recent weeks but Knockaert, the 26 year-old Seagulls midfielder, has already come up with three assists and a goal. At £5.5m that is good going and despite the improvement from the visitors, it is still a good match-up for the home team. Steve Rawlings sees goals and entertainment in this one. Johann Berg Gudmundsson - £5.9m. Another good pick in this price-range is the 27-year-old Icelandic international. Four assists and a goal so far is once more a very good return for that investment. On Saturday Burnley are at home to Huddersfield, which is a fine opportunity for him to add to that tally. Raúl Jiménez - £5.6m. Fantasy players are starting to warm to the Wolves front man as 6.5% of teams have selected him. Three games in a row he's produced either a goal or an assist. If you need to shop in the bargain basement for a third striker then you could do an awful lot worse. 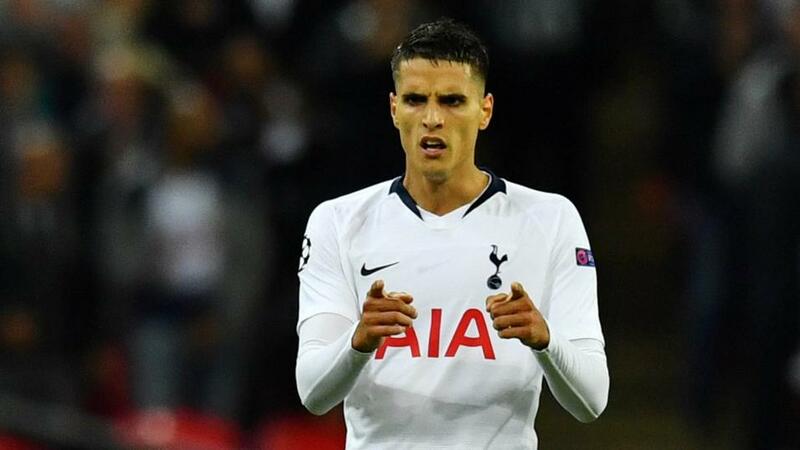 Erik Lamela - £6.4m. Affectionately nicknamed 'Coco', Erik Lamela is one of the best one-week rentals of the season so far. With Christian Eriksen and Dele Alli expected to miss the game, this is a fantastic moment to bring in the Argentine international. An impressive display in the Champions League on Wednesday has got fans excited about seeing him start. All is needs now is a bad team to play against to maximise the potential. I'll just check the fixture list...it's Cardiff City at home. Lamela is coming into my team that is for sure! Etienne Capoue - £5.0m. Whenever I get excited about Bournemouth being a good side, they'll throw in an absolute stinker. This is why I just scanned the Watford squad for a good name for this weekend. The former Newcastle man had a scorching streak last season but hasn't reached those heights this time around with just two assists and no goals so far. This is a gut feel that he maybe due. Oleksandr Zinchenko - £4.8m. Another very short-term rental option is the 21 year-old Ukrainian. With Delph and Mendy out, he's expected to play at left-back on Sunday. Being classed as a midfielder isn't ideal but the way Man City play, he's an assist possibility and he won't get stung for losing four points if they concede. Olivier Giroud - £7.8m. Last season the Frenchman come off the bench to turn this fixture around at St. Mary's. This year he's inched ahead in the race to start the game and at the price he is, he's tremendous value to nab a goal or two. Mohamed Salah - £12.9m. I can't really believe that I'm typing this but here we are. He isn't a bad play per se but at the princely sum of £12.9m, you are hoping for goals an assists week in, week out. The fantasy superstar of the 17/18 season simply isn't producing at that level. Paul Pogba - £8.1m. I'm sticking with the World Cup winner in this spot as he simply looks disinterested. 15.2% of teams still have him involved and that is just too many. Until Jose leaves, expect half-hearted production. Spurs v Cardiff is a dream for any owner with Harry Kane. He is the clear top pick for a captain. Liverpool v Man City produced a 4-3 thriller last season and goals could once more flow at Anfield. I also like Chelsea to win by two or three on the south coast, so look at Hazard and Giroud. *Remember the deadline to submit your teams for GW8 is 19:00 on Friday. Fantasy Premier League Week 4 Transfers and Tips: Moura Please!